Founded and settled in 1806 by the Friends religious group, also more popularly known as Quakers. The town was active in the early anti-slavery movement from the early to mid 1800's. Many of the beautiful century homes involved with the Underground Railroad are still standing along historic South Lincoln Avenue. The old Town Hall which was torn down in 1952 was where many anti-slavery meetings were held before the Civil War. Many notables including Frederick Douglas and Sojourner Truth addressed the crowds. In the late 1800s, young people used the second floor of the Town Hall for a bicycle track to ride their high-wheelers. That space was later converted to offices. The large bell that adorned the Town Hall is now located at the State St. entrance to Centennial Park. 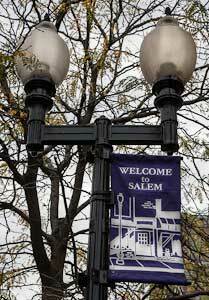 Salem is about 65 miles from both Pittsburgh and Cleveland and 20 miles southwest of Youngstown. While playing football for Coach Hayes in 1951, Earl Bruce was injured and never played football again, although he remained a student coach with the team until he graduated. After graduating from Ohio State University in 1953, he became an assistant coach at Mansfield High School. In 1956 he became the first head football coach of the Salem Quakers high school, where over the next four seasons, he led the Quakers to a record of 28–9. Bruce remained with the Quakers until 1959. 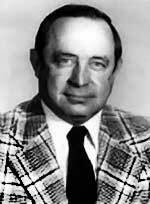 Earl Bruce would later rejoin Coach Hayes for 5 seasons. Earl Bruce returned to OSU in 1979 to replace Woody Hayes when he was suddenly fired.